A couple of weeks ago a client/friend called me and asked me to help her with a birthday party she was hosting for her best friend, so today and tomorrow I’m going to share with you what I did to get her house ready for the party and then what I did for the party itself. Today we are starting with the decorating. We decided to go ahead and decorate the house for Spring and Easter, my client has some beautiful Easter pieces she’s collected over the years and she gave me permission to use whatever I wanted. I have lots of pretty photos to share with you and will go into more detail on what I did with the photos. I hope you find some inspiration and enjoy the photos as much as I did putting the decorations together. Enjoy!!! With this weekend being Easter this is the perfect time for me to share with you photos of the amazing Easter displays in chocolate and candy stores we saw on our recent trip to Italy. The displays are gorgeous and involve not only amazing pieces done in chocolate but also gorgeous papers and ribbons. We saw beautiful displays in all the cities we visited with perhaps the most beautiful being in Florence. Join me today for a look at how candy and chocolate are used to celebrate Spring’s big holiday in Italy, I hope you have a wonderful weekend and a Happy Easter to all. Enjoy!!! It’s never too early to start planning ahead for the next holiday and Easter will be here before we know it. I love to bake but don’t do much of it anymore with the main reasons being time and I’ll eat it, but that doesn’t stop me from looking at all the beautiful baking accessories and tools available to create beautiful cakes and make holidays more fun. Williams Sonoma has some amazing Nordicware pans to create beautiful Bunny cakes as well Carrot Cakes and of course pancake molds for the perfect Easter morning breakfast. Join me today for a look at what’s available and think about baking something extra special for your family’s Easter celebration this year. Enjoy!!! 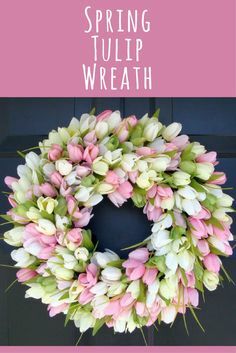 Easter is this Sunday and if you are needing some last minute ideas for decorations around the house or on your dining table then I’ve got some ideas for you. One great place to start is Pier 1, almost all major cities have a Pier 1 and of course, you can order online, although it may be a little late now. Pier 1 always has great choices in Holiday decorations for all seasons and today we are going to take a look at a few of the many and wonderful choices they have in Rabbits and Bunnies. Pier 1 has rabbits that are cute and homey and rabbits that look very high end as well as some that are very “artsy” looking. Any of these rabbits and bunnies can be combined with decorations you already own or you can pick up some of the other great decorating items Pier 1 has in stock. Join me for a trip down the bunny trail as we pay Peter Rabbit a visit, Enjoy!!! I’m in the middle of planning a trip to New York City later next month and I was excited to recently learn about the Mr. Chocolate Museum that’s run by Master Pastry Chef and Chocolatier, Jacques Torres. So, of course, I got to digging around and found all the goodies he currently has up for grabs for Easter and knew I had to share them with you. These are some of the cutest chocolate creations I’ve seen, I think the thing that is so appealing to me about them is that they are very simple and not SO over the top. They are all shapes that many of us grew up associating with Easter and for some of us they are shapes we saw every day in our lives. I’ve already texted and emailed friends telling them they need to order certain things for their kids, the chocolate pig, and I want to share it all with you today. I’ll tell you all about Jacques Torres and the Chocolate Museum next month after we visit, in the meantime, Enjoy!!! 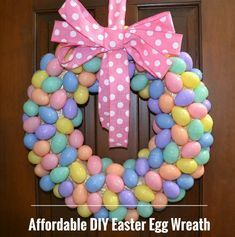 It’s never too early to think ahead, in this case, three weeks from yesterday is Easter so you may as well go ahead and start thinking about getting ready for the big Spring holiday. I have several ideas that I want to share with you over the next couple of weeks but I thought we would start today by looking at one of my favorite places for Easter treats, Williams-Sonoma. WS always has awesome candies and baked goods done up in beautiful packaging for you to serve or give as gifts. Let’s flip through the Williams~Sonoma catalog and see what’s available, and remember the sooner you order the better to be assured the items will reach your house by Easter. Enjoy!!! Mark your calendars, Easter this year is Sunday, April 16th so we better get hopping and start shopping, let’s check out MacKenzie-Childs first. MC has wonderful things available this year as far as bunny and egg decorations, I definitely think you can put out your Easter decor now and leave it up throughout the Spring season, nothing says spring like rabbits and bright pastel colors. One great thing about MacKenzie-Childs merchandise is that it really works with anything, their black and white Courtly Check pattern looks great with pastels, greens, purple, you name it and it works. Join me as we flip through the newest MC catalog and check out the bunnies and eggs, Enjoy!! !